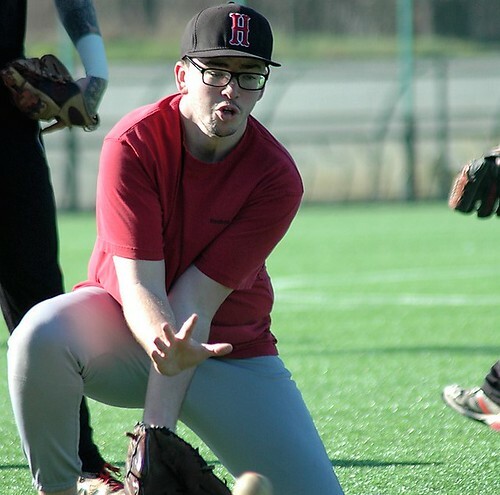 As Herts baseball club prepares for a big year, it has added another new face to the coaching staff. Andy Roberts has joined the board as the Head of Under-13 baseball, and will coach a promising side into the season ahead. Herts is still looking for more paid coaches to complete its youth set-up. Roberts — primarily a catcher — joined the Herts club during the 2018 season, and played for the Falcons in the NBL. He was on their roster at Farnham Park as they took on the London Mets for the title. This year he is also likely to be helping out the newly formed Herts Londoners in the Triple-A division. Andy Roberts already has a rich history playing baseball. Growing up in Arizona, he has played in regional teams, city leagues and rec leagues and was set to play college ball before an injury setback. His first experience of coaching kids came with Under-7 coach pitch. “This year, I really want to instil the fundamentals of baseball”, he says. “Not just on how to hit the ball and field the ball, but about what do with the ball when you get it. And start showing how it’s a game of chess that everyone can contribute to”. Roberts hopes to set the Herts youth on a path to the NBL team of the future – a goal shared by the Falcons coaches. They have already been monitoring the indoor practice sessions. “I want the kids to have fun”, says Andy, “but I also want them to learn why so many people love this game”. Herts is now looking to add the final pieces of its coaching puzzle, and has more paid roles available in the youth set-up. The club is keen to recruit managers for the Under-8 teeball programme; the Under-11 player pitch side; and the Under-15s. The Herts budget has been modified this year to allow for the recruitment of quality coaches to move the programme forward. Anyone who is interested should contact the club. Herts will be fielding a range of youth teams during 2019, from Under-8s to Under-18s. The aim is to offer baseball training and competitive games for as wide a range of boys and girls as possible. In past years, Herts teams have taken on sides from as far afield as Brighton, Essex, Guildford and Leicester. Last season, the Herts Under-11 coach pitch side reached the final of their category at the Youth National Baseball Championships at Farnham Park. 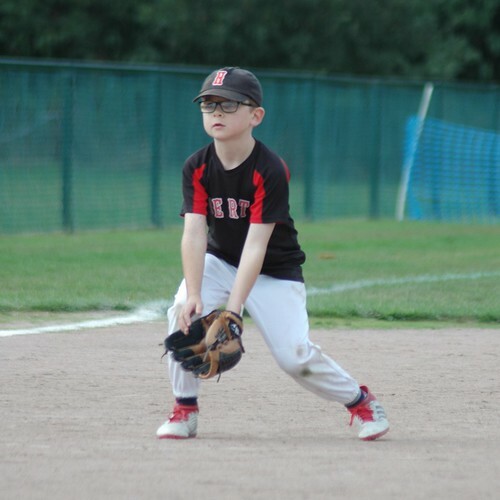 One of the veterans of that team, Evan Strong-Anderson, has been chosen for the Team UK coach pitch Under-10 side for the 2019 season. This project draws players from a range of British youth sides to take part in a SuperCup in Prague at the end of May. Around 30 players took part in selection events in Milton Keynes in recent weeks, and Evan was chosen in the final 12. He has worked hard to develop his natural skills, and shows great potential. 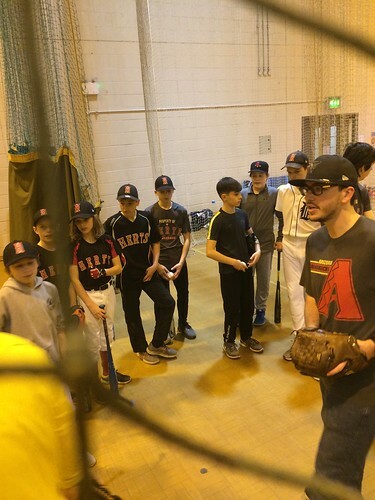 Herts was pleased to see a number of our youth players were involved in the Team UK academy sessions, taking advantage of a scheme which is a great addition to British baseball. The team’s general manager Matt Crawshaw said the overall quality had been extremely high. He is hopeful this year’s crop of talent can build on trophy wins in 2017 and 2018. Team UK will take part in a series of fixtures on the Bank Holiday Mondays in April and May before heading to the Czech Republic.